Being in Iraqi combat zones for six years, Colin Winter’s everyday life was filled with intensive danger. The fear of death did not destroy him, nor did the loss of his best friend, but the loneliness and isolation that came after his deployment almost did. On Saturday, Winter is set to host the third annual Run Down the Demons 5K obstacle course, designed to challenge runners by having them experience the feelings of associated with post-traumatic stress disorder while raising awareness for the condition. 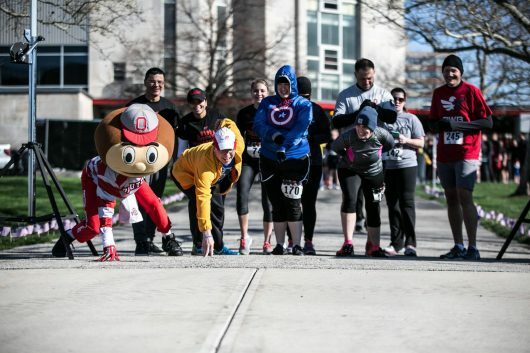 Josh Duggan, an Ohio State alumnus, has helped to organize this 5K every year, with the goal of using the event to help people fight back their mental obstacles, such as PTSD or even suicide. “The reason I do this is that I like the feeling of giving back (to the community),” Duggan said. This 5K-obstacle run is designed to challenge both runners’ bodies and their mind, Winter said. Signs are placed along the route with information about PTSD and issues related to challenges that veterans and their families face. “Read the signs while running, and get through the obstacles,” Winter said. To accompany the signs, there are three undisclosed areas on the route called Mental Checkpoints. Runners have to answer questions about the signs they just read. 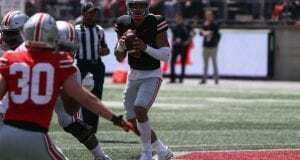 Winter used to be the president of Vets 4 Vets at OSU, and said he has seen a gap between traditional students and student veterans. The Run Down the Demons 5K will start at Remembrance Park, continue on the Olentangy Trail and come back from Mirror Lake and through the Oval. Registration is available online at RunDownTheDemons.org.